Audinate, creator of Dante, will release a firmware update that provides support for the AES67 audio networking standard. 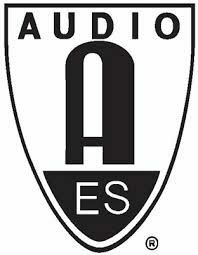 AES67 is an interoperability standard created by the Audio Engineering Society, which specifies a baseline set of protocols enabling synchronized audio connectivity between compliant Audio-over-IP solutions. AES67 provides standardized methods for clock synchronization, quality of service, and IP transport to bridge between different Audio-over-IP implementations. The addition of AES67 will allow baseline connectivity between the growing ecosystem of Dante-enabled devices and networked devices from other vendors who support AES67 bridging. Although the AES67 standard covers only the basic sync, QoS, and transport of networked audio, systems utilizing Dante networking will retain their enhanced features including simple device discovery, channel naming, clock monitoring, network status, latency monitoring, and redundancy. AES67 support in Dante will initially be made available in a firmware update for the Dante Brooklyn II card, which will be released to Audinate OEM partners within the next 30 days for integration and testing into their products.